One of my seminary colleagues from Princeton, Traci Smith, has recently come out with a book that I think many folks here may find helpful, and I wanted to give her the chance to share with you a little bit about the book. 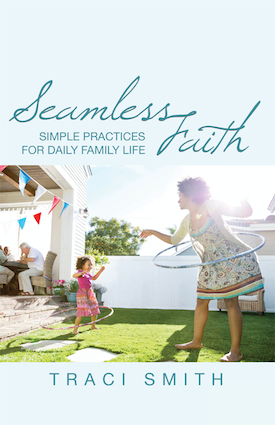 It’s called Seamless Faith: Simple Practices for Daily Family Life and it is definitely worth checking out if you have kids and are interested in finding ways to engage with them and their faith. I’ve asked Traci to share a bit below. Thank you, Adam, for allowing me to stop by your internet home to talk about a project that is very near and dear to me, my new book! When taken as a whole, the practices in Seamless Faith can be used to achieve some of the goals that many families in my congregation have. An alternative to the culture of buying: How much of parenting has now become about what we have rather than what we do and it begins at birth. Parents are urged to have the right gadgets and gizmos and to take their children to all the right places. Seamless Faith tries to get away from that and focus on the most precious investment parents can give: time and attention. Faith that goes beyond Sunday Mornings: Many families assign faith and spirituality to a one hour block on the weekend and find themselves unsatisfied with the depth of their family’s engagement with their faith. It’s not that they don’t want to do more they just feel that they don’t have the time or that they are ill-equipped to know what to do. Seamless Faith addresses these challenges with practical solutions. The opportunity to challenge your children and be challenged by them: The practices are designed for the family as a whole and so they offer a time for parents to grow in faith alongside their children. This isn’t a guide for parents to teach faith to their children as much as it is a guide for the family to grow in faith together. A respite from the crazy, hyper-scheduled life: It is a rare family that I meet that doesn’t worry about the schedule of running from appointments to extra-curricular activities to church activities to family commitments and back again. The practices in Seamless Faith are designed with busy lives in mind. There is room. There is time. Language to talk about spirituality and faith: Oftentimes we need words to express concepts of the heart. Seamless Faith gives families space and words to talk about concepts that are often so abstract and difficult to grasp. 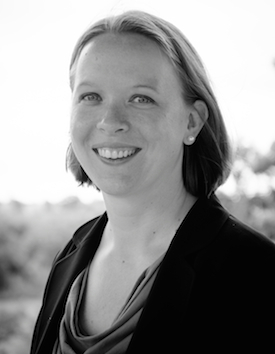 Traci Smith is the author of Seamless Faith and pastor of Northwood Presbyterian Church in San Antonio, Texas, where she lives with her husband and two sons. Sign up for her monthly Newsletter containing articles and tips on family spirituality: Seamless Faith Newsletter.